Protection orders in Queensland (also known as Domestic Violence Orders) are court orders made with conditions to prevent future domestic or family violence from occurring. Protection orders are made in accordance with the Domestic and Family Violence Protection Act 2012. In some cases, the Queensland Criminal Code will also apply. The law aims to stop domestic violence from occurring, to maximise the safety of people subjected to domestic violence, and to make sure that perpetrators are held accountable for their behaviour. seeks in any way to dominate or control and which makes a person fear for their safety or wellbeing. The abusive behaviour must occur within a ‘relevant relationship’. What is a ‘relevant relationship’? Intimate personal relationships include couples, engaged people, de facto partners, married people (including those who are separated or divorced), those who are living or have lived together, those who have a child together, those in a boyfriend/girlfriend relationship. Informal care relationships exist where a person depends on another for help in their daily lives, such as for dressing, grooming and meal preparation. Family relationships involve those related by blood or by marriage. Who can apply for protection orders in Queensland? a party to a child protection proceeding (but only in Children’s Court). The person against whom the order is sought is known as ‘the respondent’. An order can be made to protect the aggrieved and any child, relative or associate (such as a friend) who needs protection. You must explain in your application why the others need protection. An aggrieved aged under 18 years can apply for an order if they are in an intimate personal relationship or an informal care relationship, but not if they are in a family relationship, with the respondent. If you require protection from a family member, you should contact police on 000 if it is an emergency. Otherwise, you can contact Child Services for help. 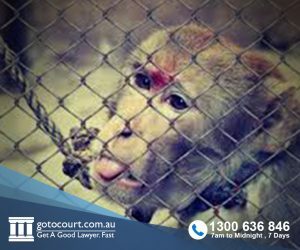 Protection orders in Queensland are usually made at a Magistrates Court. An Order will be made if the court believes that violence has occurred and it is necessary to protect from future violence. A Judge in the Supreme or District Court can make a Protection Order against a defendant convicted of an offence involving domestic or family violence. An Order can also be made during protection proceedings in the Children’s Court. If a person has a Domestic Violence Order made in another Australian state or territory or in New Zealand, it can be registered for enforcement in Queensland. Likewise, a Protection Order made in Queensland can be registered and enforced in all Australian states and territories and in New Zealand. When police believe domestic or family violence is occurring or has occurred, they may issue the respondent with a Police Protection Notice. When police attend a place where they suspect domestic or family violence is occurring or has occurred, they can search the premises and seize anything that might have been used to commit violence. The violent person can be taken into custody. The period of time in custody can vary according to the circumstances but must not be for more than 4 hours, or 8 hours if they are intoxicated and unable to understand the conditions of their release. If they are not taken into custody, a Police Protection Notice can be issued. This is a short-term Domestic Violence Order directing the respondent to not commit any domestic or family violence and be of good behaviour. A short-term order remains in force until the matter is heard by a Magistrate. It can include conditions that the respondent leave the premises and have no contact with the aggrieved person for up to 24 hours (a ‘cool down condition’). A police Protection Order is considered to be an application for a Protection Order. The matter may be adjourned to allow the respondent to get legal advice. If the aggrieved person is represented by a solicitor or Police Prosecutor, they will try to reach an agreement with the respondent on suitable conditions for an Order. If they can, final orders can be made. Final orders may be made if the application was served but the respondent didn’t come to Court. The aggrieved can withdraw the application on an undertaking by the respondent to be of good behaviour towards them. Undertakings can’t be enforced and there are no penalties for breaking them. The matter may be set down for a defended hearing. If a respondent defends the application for a Protection Order, the matter will proceed to a hearing. At the hearing, the Court must accept that it is more likely than not that the aggrieved person is being truthful and needs an order for their protection. Both parties and any witnesses give evidence on oath. Children aged 12 years and over may be able to give evidence, with the leave of the Court. The proceedings take place in a closed Court which means that members of the public cannot attend the hearing except with leave of the court, and details which might identify any of the parties to the hearing cannot be published. As of 1 December 2015, the aggrieved person must be treated as a ‘special witness’. This means the court can order that, while the aggrieved gives evidence, the respondent, and anyone else the court deems necessary, is excluded from court or obscured from the aggrieved person, or that their evidence is videotaped and played to the court. An order usually lasts for 5 years, but if there are special reasons, it can be longer or shorter. If either party is unhappy with the orders that are made or not made, they can appeal, but they must do so within the set time limit. The court can impose any conditions believed necessary to help protect the aggrieved person and any other person who is at risk of domestic and family violence by the respondent. All protection orders in Queensland will include conditions ordering the respondent to be of good behaviour and not commit further domestic or family violence, and, if applicable, not to expose a child to domestic or family violence. If an order is made, the respondent’s weapons licence is automatically revoked which means they must surrender any weapons in their possession, including, firearms, martial arts weapons, and anything else that the respondent has used or threatened to use against the aggrieved person such as a cross bow, baseball bat or even a dog. conditions to protect the life of an unborn child. The court can also make an ‘ouster’ condition which prohibits the respondent from approaching, being within a certain distance of, remaining at, or entering particular premises. Police can order a respondent to stay in a particular place until they are served with an application for a Protection Order, a Police Protection Notice or a Domestic Violence Order. If they leave, they may be charged with an offence. Breach of the terms of protection orders in Queensland is also an offence and carries a maximum penalty of 3 years imprisonment or a fine of 120 penalty units ($14,136). If there has been a conviction for breaching an order in the previous 5 years, then the penalties increase. The fine is doubled (240 penalty units or $28,272) and the maximum jail sentence is increased to 5 years. It is a defence to any of these offences if the defendant has not been advised of the order. Breach of a Police Protection Notice or release conditions carries a penalty of up to 60 penalty units ($7,068) or 2 years imprisonment. Under recent amendments to the Penalties and Sentences Act 1992, the Courts can also now order that a previous conviction on a criminal record be amended to show it was a domestic violence offence.